Springfield, MA. 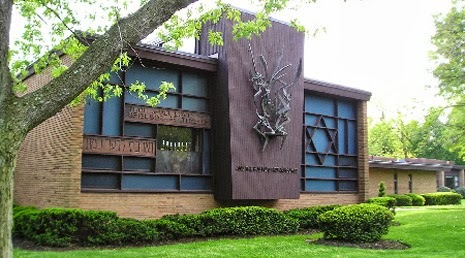 Temple Beth El, first building (1953) with "Pillar of Fire," Ibram Lassaw, sculptor. A few weeks ago I participated in a symposium about synagogue art and architecture at Temple Beth El in Springfield, Massachusetts, a building designed by noted modernist Percival Goodman and decorated with many artworks by Ibram Lassaw, one of the best abstract artists to provide artwork for American synagogues in the 1950s and 1960s. The symposium was mostly about the career and work of Goodman, but on my this visit to Beth El, I was particularly drawn to the sculptural work of Lassaw, whose metalwork marks the building exterior, and can also be found throughout the synagogue in functional and ritual roles. 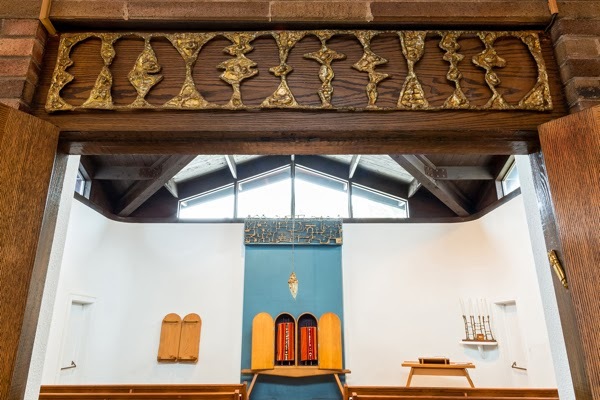 Based on his success at the recently completed Congregation B'nai Israel synagogue in Millburn, New Jersey, Goodman had assembled a team of artists to design art for the newly planned Springfield synagogue. For both projects, all the artists came from New York's Kootz Gallery, but for Springfield the still little known Lassaw was chosen to replace sculptor Herbert Ferber who has created the outdoor relief "The Bush Was Not Consumed" in Millburn. Other artists Adolph Gottlieb and Robert Motherwell worked on both projects. From Lassaw's account of the project, it seems that he did not get specific instruction from Goodman, nor any instruction about or instruction about subjects from the congregation's rabbi. According to art historian Nancy Gale Heller, Lassaw produced sixteen pieces for the Temple Beth El (Springfield) in all, including “two menorahs, an eternal light, a lamp-lighter, [and] many decorative forms for various parts of the buildings." 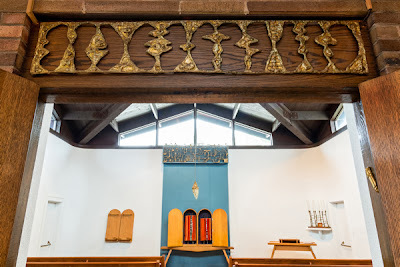 Fire destroyed the Beth El sanctuary in 1965, but fortunately most of Lassaw's work survived and was reinstalled in the new building, also designed by Percival Goodman. Springfield, MA. Temple Beth El. 1965 fire. Photo from Springfield Union (Oct. 18, 1965) courtesy Temple Beth El. 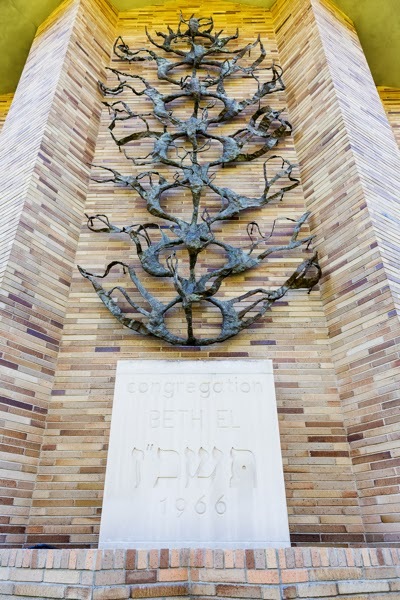 Lassaw's most notable work at the synagogue, and the one that garnered most attention for the artist, is a twenty-eight foot tall bronze form placed on the building's facade which Lassaw titled "Pillar of Fire." 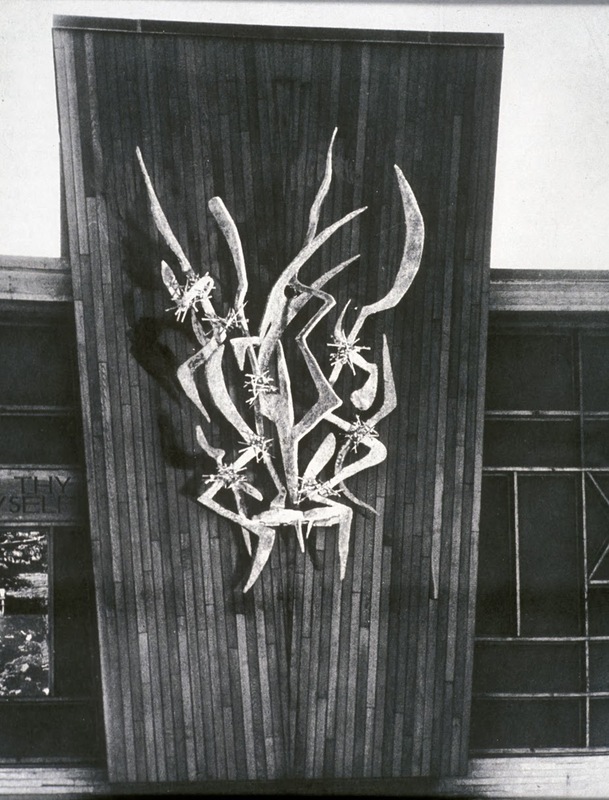 Like Millburn, Goodman adorned the facade with abstract yet symbolic sculpture for which the architecture serves as setting. "Pillar of Fire" is set in a shallow niche like a gemstone in a bracelet. Even more than in Millburn, Goodman was able to integrate art throughout the building. 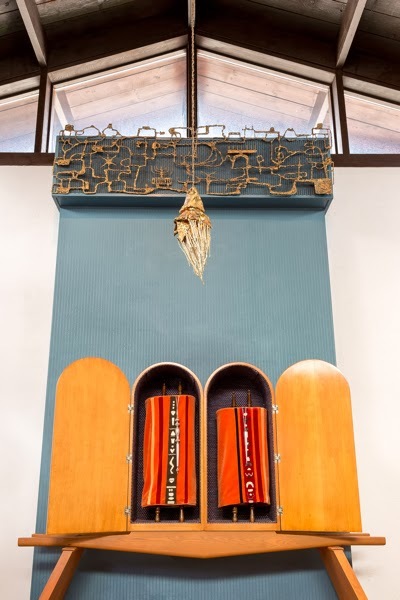 “Pillar of Fire” provides a visual accent to the exterior; replacing traditional synagogue symbols (menorah, tablets, Magen David) as Jewish “branding;” and offers a foretaste of what's to come – modern art inside. Along with Ferber's “And the Bush Was Not Consumed” in Millburn, this piece is probably the very best combination of quality art and perfect architectural placement of any synagogue art in America. It is not “just decoration,” but art and architecture are in supportive and complete harmony. Each serves the other. Goodman and few others could (and can) do this sort of design. After more than a half century, the piece remains a powerful one, and in retrospect, one of Lassaw’s most effective works. Art and architecture complement each other. For many people, it was their first substantial encounter with abstract art – there were very few pieces of public modern art of any kind visible in American – let alone Western Massachusetts. In 1953, the work was a revelation. We know that Lassaw was familiar with Ferber's work, and that this work in form and name was a response of some kind. Perhaps Goodman (or the congregation) made it explicit that they wanted something like Millburn. As far as art goes, the two works are quite different. Ferber's relief boldly protrudes from the wall while Lassaw's is recessed in a niche. One looks like sharp shards and blades of metal suggesting perhaps tongues of flame; the other is a dense interlace of thinner, more organic forms - more smoke than fire. Milburn, NJ. Cong. B'nai Israel. "And the Bush was Not Consumed," Herbert Ferber, sculptor. Photo from Kampf, Contemporary Synagogue Art (1966). Still - in the world of synagogue art - these two works of the early 1950s stand out as related, since no other similar outdoor or abstract sculpture for synagogues was known at the time. Each inevitably calls the other to mind - in part since there were so few publicly visible similar abstract metal relief works to be seen anywhere else. The Millburn project occupied Ferber for over a year. He began with small pen-and-ink sketches before creating two copper models, each a foot tall, which he submitted to the architect and the rabbi for approval. The original commission was for a six-foot-tall piece, but Ferber thought this would be too small for the synagogue’s façade and volunteered to double its size. To create the final sculpture, Ferber bent cut-out sheets of copper into long hollow forms, which were then covered with lead to achieve a uniform color. Ferber’s exterior relief at Millburn is titled "And the Bush was not Consumed..." This was no arbitrary title added to an abstract work after the fact. The subject was proposed by B’nai Israel’s rabbi, Max Grünewald, who had been instrumental in encouraging the inclusion of contemporary art in the new building. Grunewald had fled Nazi Germany after Kristallnacht when his own synagogue in Mannheim was destroyed. 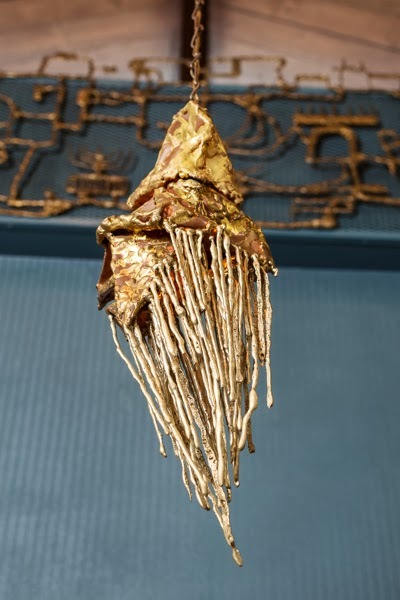 He stated, “The Burning Bush burned but was never consumed, which reflects the fate of our people,” but when he saw Ferber's sculpture in place he must have had strong memories of the burning synagogues in Germany on Kristallnacht. In specific recognition of the destruction of the Mannheim synagogue Goodman and Rabbi Grunewald created a memorial niche in the Millburn synagogue sanctuary; to my knowledge the first Holocaust memorial designed for a new synagogue after the war. Shortly after completing the Springfield work, Lassaw came back to the Pillar of Fire theme and produced two metal free standing openwork towers - titled "Pillar of Fire" and "Pillar of Smoke" that were installed flanking the ark of Temple Beth El in Providence, Rhode Island. These works - not reliefs - were more in keeping with the bulk of Lassaw's work. Back inside Temple Beth El in Springfield, Lassaw’s best work was his Ner Tamid, or Eternal Light, and his work in the chapel. The Ner Tamid, hung like some heavenly galaxy in front of the Ark. 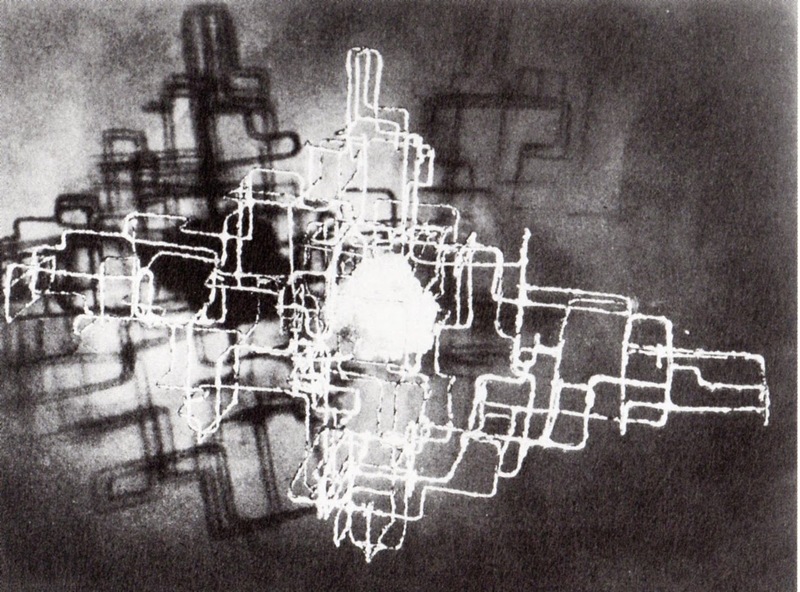 This openwork metal sculpture was destroyed in the unsolved 1965 fire. Lassaw made a similar, but more compact one to replace it. Springfield, MA. Temple Beth El. Newspaper report of 1965 fire. Photo courtesy Temple Beth El. Springfield, MA. Temple Beth El. Original Sanctuary Ner Tamid. Ibram Lassaw, Sculptor, 1953 (destroyed 1965). 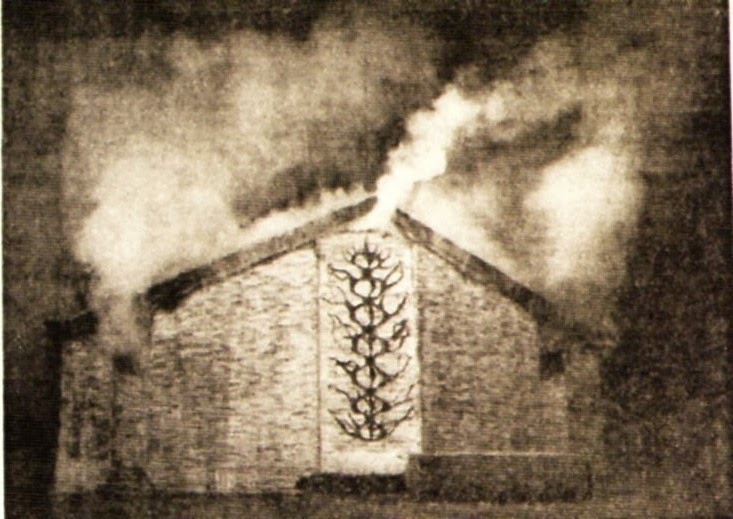 Photo from Kampf, Contemporary Synagogue Art (1966). Springfield, MA. Temple Beth El. Replacement Sanctuary Ner Tamid. Ibram Lassaw, Sculptor, 1968. Photo courtesy of Temple Beth El. 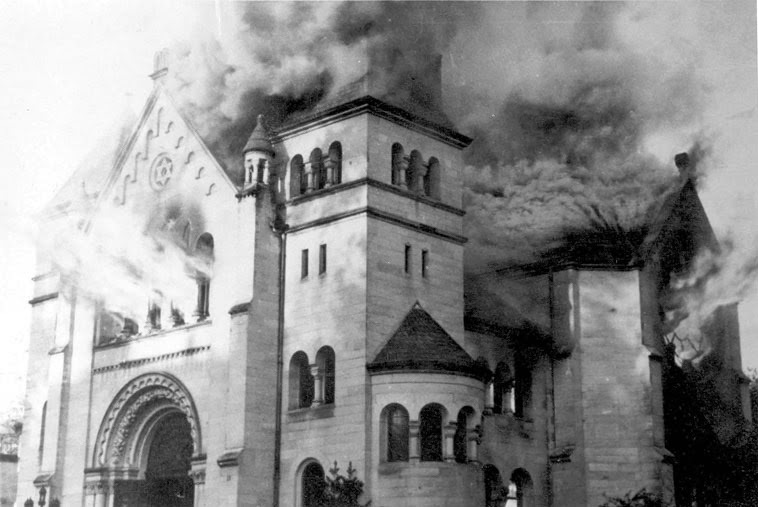 At the rededication ceremony of Temple Beth El, on May 12, 1968, Goodman linked the devastation of the fire to past Jewish disasters, giving added weight to rumors that the fire was the result of arson. it also seemed he remember Rabbi Grunewald's admonition that "the bush was not consumed." Fortunately, the chapel of the original building and all its artwork survived the fire - and this simple space is one Goodman's best early designs. It has the simplicity, austerity, and integrity of a medieval Carthusian Chapel or a work by Brunelleschi. 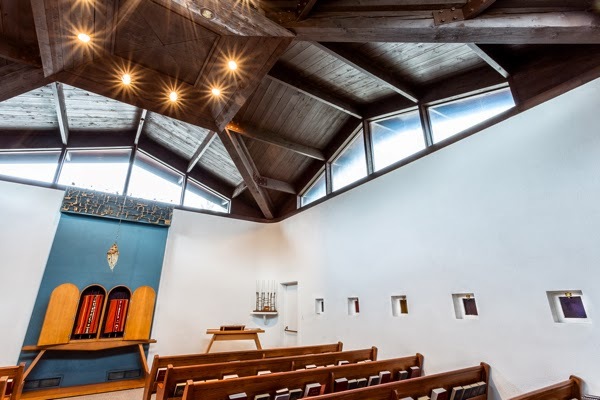 But most of all it is in the style of Millbrun that combines a modern functionalism and rustic simplicity - best seen in its wood roof (as a modern space, to me this chapel is the equal of Louis Kahn's Trenton Bathhouse which opened in 1955, two years after the Beth El Chapel.). Springfield, MA. 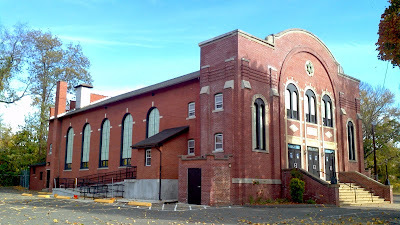 Temple Beth El Chapel. Percival Goodman, architect, 1953. Photo courtesy Temple Beth El. Part of the effect of the chapel is due to Lassaw's art, which he has toned down to match the muted architecture. Lassaw decorated the portable wooden Ark with solitary star or sun bursts – suggesting perhaps the light emanating the Torah, or at least intimating a link to the idea of creation – more of these can be found around the building. 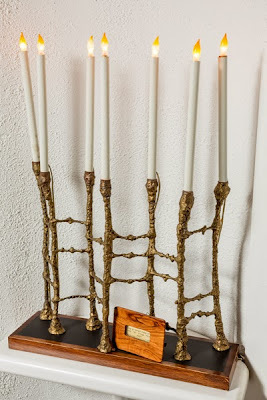 He also made a small Ner Tamid and a menorah for the chapel that survived the fire, and which you have probably already seen. The Ner Tamid would have have been - and still should be seen - against the brightly colored Robert Motherwell-designed tapestry that hung behind the Ark. The wall carpet was removed from the chapel many years ago. 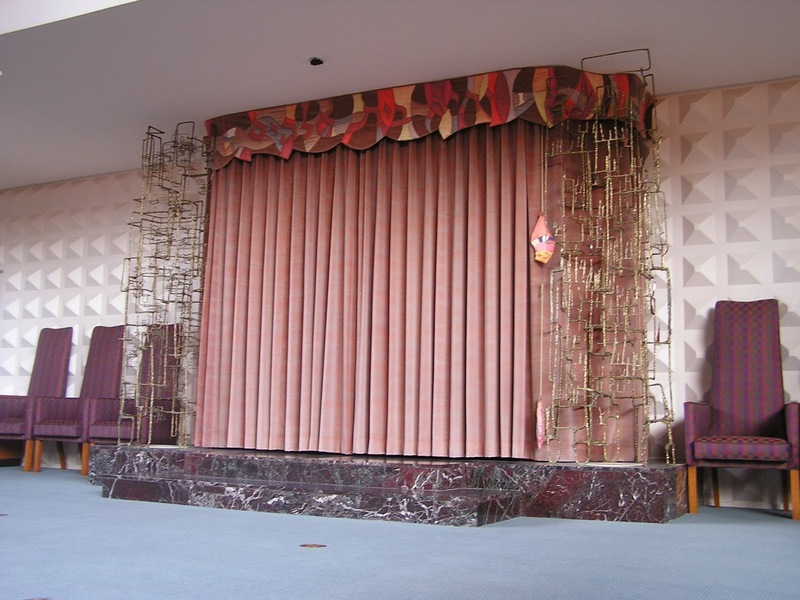 It now hangs in the Temple Social Hall, but plans are being made to restore it return it to its original location. Springfield, MA. 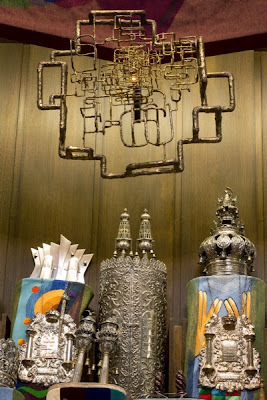 Temple Beth El Chapel. Ark decoration by Ibram Lassaw and Robert Motherwell. This photo suggesst the sunburst decorations on the ark were added later by Lassaw. Photo courtesy Temple Beth El. Springfield, MA. Temple Beth El Chapel. Percival Goodman, architect; Ibram Lassaw, sculptor, 1953. Photo courtesy Temple Beth El. Springfield, MA. Temple Beth El Chapel. Percival Goodman, architect; Ibram Lassaw, sculptor, 1953. The relief seems to presage Lassaw's much larger and more dramatic ark relief designed by Cong. Kneses Tifereth Israel in Port Chester, New York (now in the Jewish Museum, New York). Photo courtesy Temple Beth El. Springfield, MA. Temple Beth El Chapel. Menorah. Ibram lassaw, sculptor. 1953. Photo courtesy Temple Beth El. Springfield, MA. 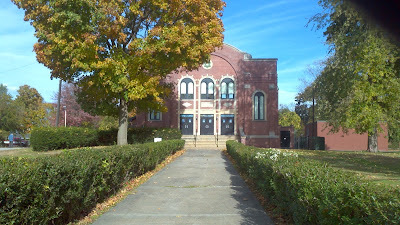 Temple Beth El Chapel. Ner Tamid. Ibram lassaw, sculptor. 1953. Photo courtesy Temple Beth El. Ibram Lassaw, interview with Dorothy Secklet, East Hampton, New York, Nov. 1, 1964; transcript at Archives of American Art quoted in Nancy Gale Heller, The Sculpture of Ibram Lassaw, Ph.D. thesis Rutgers University, New Brunswick, NY, 1982. (Ann Arbor, MI: UMI, 1982). Quoted in Temple Beth El 1913-2013 (Springfield, MA: Temple Beth El, 2013), 62. Tykocin, Poland. 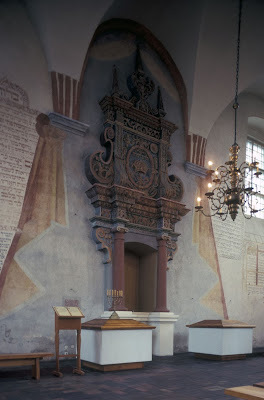 Synagogue, Photo: Samuel Gruber 1993. 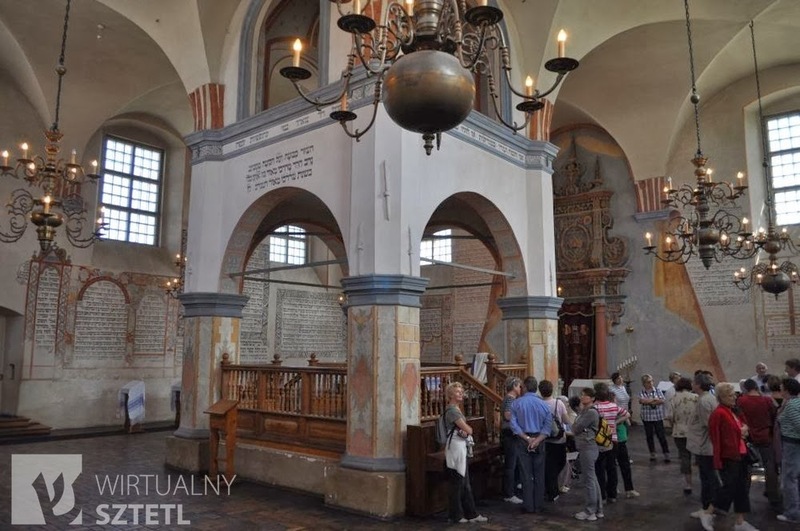 Virtual Shtetl and Jewish Heritage Europe report (via that the historic 17th-century synagogue of Tykocin, Poland has been voted one of the “new seven wonders” of Poland, in the third edition of a readers’ contest sponsored by the Polish edition of National Geographic Traveller magazine. 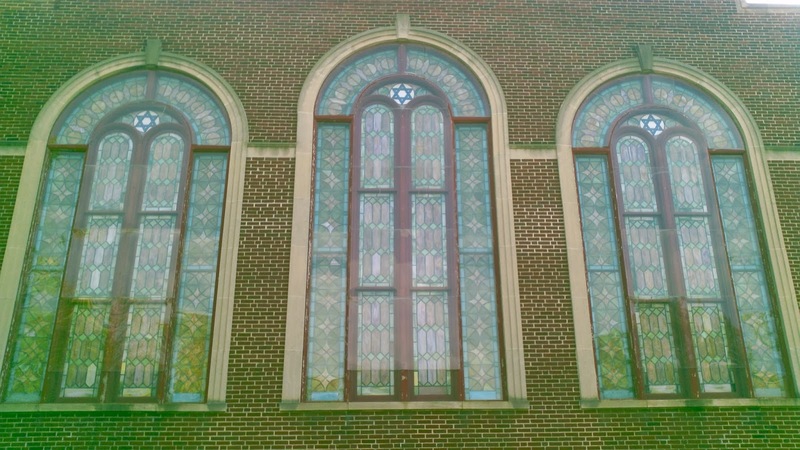 Click here for a gallery of photos of the synagogue. Tykocin, Poland. Synagogue. Decorated Ark. Photo: Samuel Gruber 1990. I remember vividly when I first visited the synagogue in 1990. After traveling for many days across the Polish countryside looking at ruined synagogues, it was a revelation to visit Tykocin, where the building was reasonably well restored, and promoted as a tourist and educational site. It made clear at that time "the art of the possible," that Poland already had most of the tools in place to protect, preserve and present other similarly important Jewish sites. All that was lacking was better interpretive material about Jews, Judaism and Jewish history, all of which has since been developed as foreign and Polish scholars and students have delved deeply into rediscovering and interpreting the Jewish past. This year, much of that work comes to a head in the opening of the new Museum of the History of Polish Jews in Warsaw. But a beautiful modern museum with high-tech installations needs to connect to some authenticity of place - and visits to monuments like Tykocin (and Zamosc and many others places) are perfect complements to musuem visits. Tykocin, Poland. 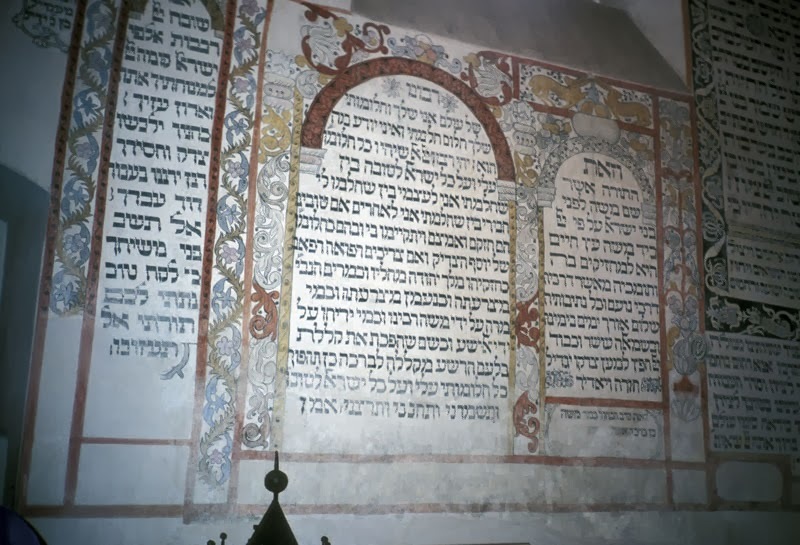 Synagogue, Tykocin was the first sunagogue to have its wall inscriptions preserved. 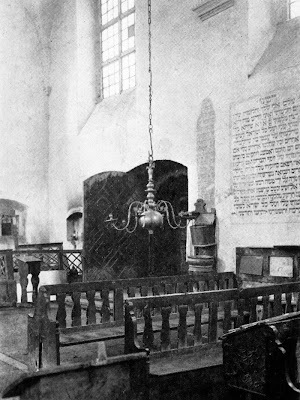 Others (Krakow's Izaak synagogue; Pinczow synagogue) have followed. Photo: Samuel Gruber 1993. The Tykocin synagogue was among the very first Jewish sites restored in Poland. 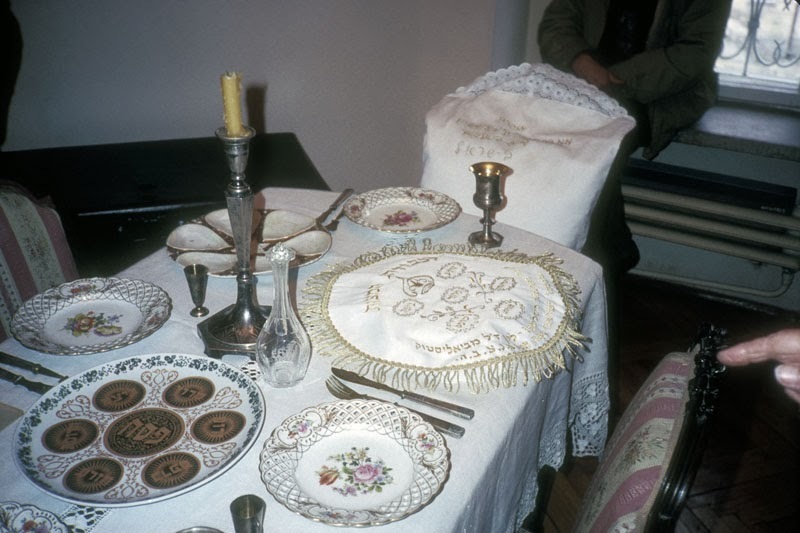 The work of the 1970s and '80s pre-dates the fall of Communism, and set a high standard for subsequent Jewish heritage preservation work that began in the 1990s and continues today. The synagogue is part of the district museum in Bialystok and houses a permanent exhibition of Judaica and the place of the synagogue in the town, but it is the impressive architecture of the building and the many restored inscription painted on the massive walls that are the real attraction of the site. The ark is surrounded by painted carving and the inner walls and central four-pillar bimah bear paintings of prayers, texts and other decorative elements. 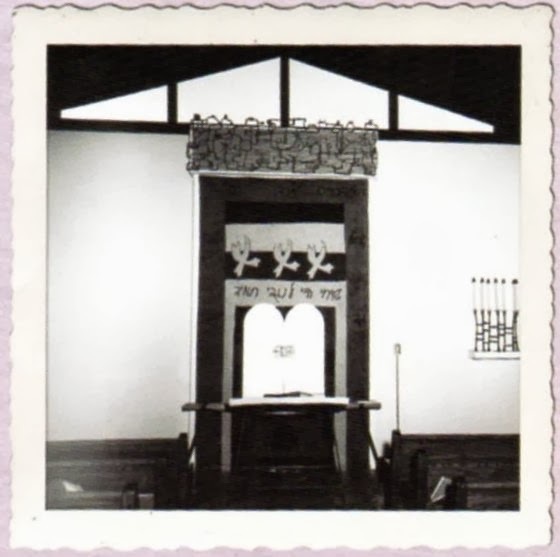 "defined by its square or almost square plan and the presence of a large central bimah, surrounded by four corner columns or piers that rise to the ceiling vault, which they help support. Known to scholars as the “bimah-support synagogue,” or the “nine-bay plan, this type allowed for wider roof spans and larger uninterrupted interior spaces, to better accommodate large crowds. The size of the space, and the attention given to the reader’s platform, created a new dramatic effect. 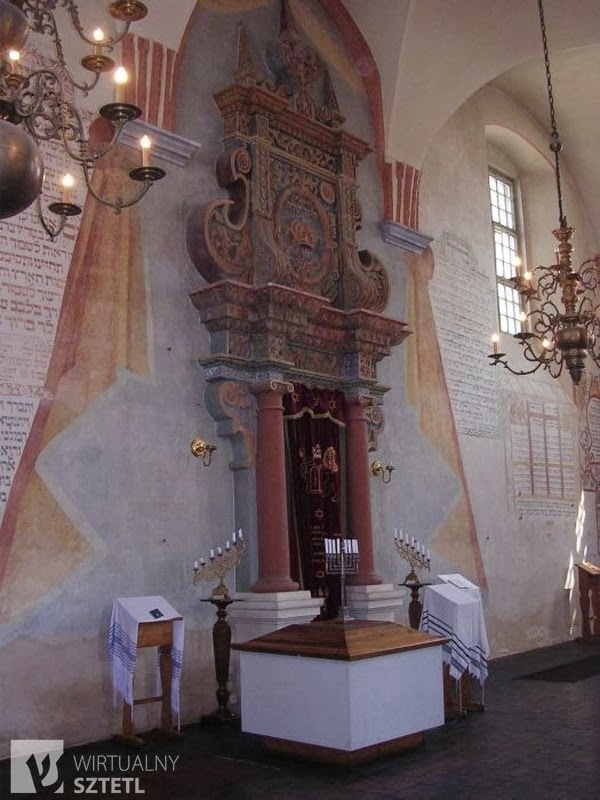 The first such synagogue may have been the MaHaRSHal Synagogue, built in Lublin, Poland in 1567, and rebuilt 1656. Many examples of this type can be found in Eastern Poland and Western Ukraine. Some survive in Poland at Przemysl (1592-95), Zamosc, (c. 1600), Tykocin, (1642) and Lancut (1761), and in Ukraine in Satanov (18th century), Zhovkva (1692) and elsewhere." 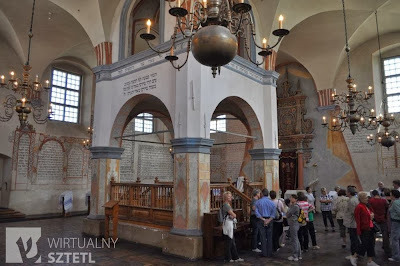 For many years it has seemed that Tykocin will be the only example in modern Poland of the massive bimah-support type of synagogue. 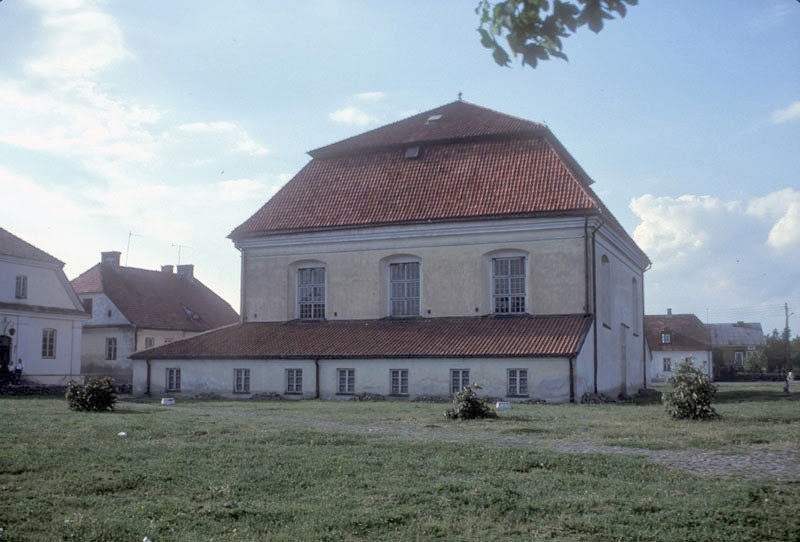 Now, however, plans are getting going for the preservation and restoration of the great synagogue of Przysucha. In ten years we may have another "New Wonder." There are many aspects of the Tykocin synagogue that are worthy of note (and further study). Its position in the Jewish quarter, and that relationship to the main square and the big church; the associated buildings around the synagogue perimeter; the notable tower - said to have been used as a jail for Jewish offenders; and the remarkable decorated ark made of stone, stucco and paint - that would have had wooden elements, too. The painted drapery made-to-appear behind the ark is a good example of an old tradition where the ark is given dramatic - and even royal treatment. Click here for more discussion about painted ark curtains. 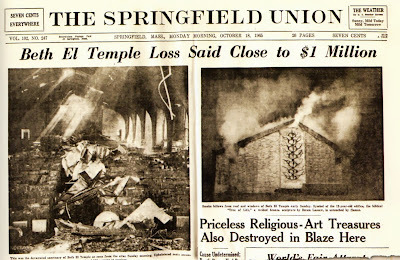 I recently had the pleasure of spending the weekend in Springfield, Massachusetts, where I was lecturing on the modern synagogue architecture of Percival Goodman and the art of sculptor Ibram Lassaw, both of whom contributed to Temple Beth El, first opened in 1953 and then rebuilt and rededicated in 1968 after a devastating fire destroyed the original building. While in Springfield I got to see a lot of the area, including former Jewish neighborhoods on the North Side and in Forest Park. Judaica book dealer Ken Schoen and artist and activist Jane Trigere took me around to see the sights. Ken and Jane live in Deerfield, home of Schoen Books, and a gallery the two have just opened in an old bank building, but a decade ago Jane did research on the history of Springfield's synagogues when she was student in the Jewish art program at JTS, and she was happy to share her knowledge (I hope that someday soon Jane will publish her findings). In this post I'll show the oldest standing synagogue buildings in Springfield, all erected between 1921 and 1924, when the immigrant communicates had settled enough, and amassed enough wealth to be able to build. 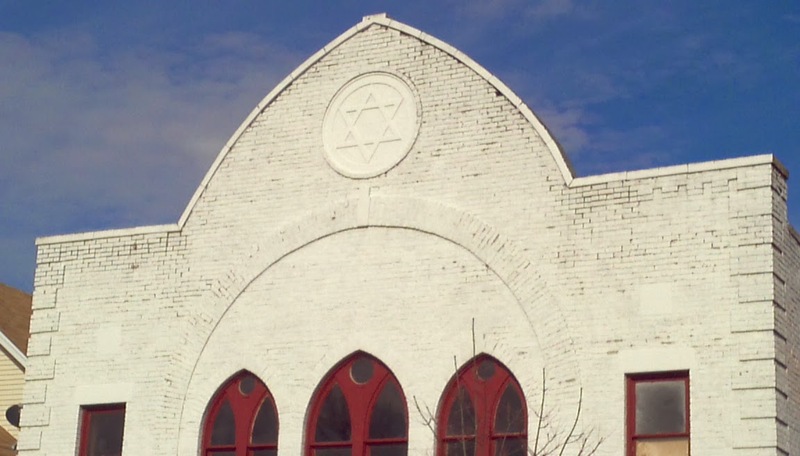 The North Side, home for decades of the city's Eastern European Jewish immigrant population, has been substantially wiped clean by so-called urban renewal of the 1960s and 70s, but two former synagogue survive, now used as churches. By 1910 Jews had largely replaced an older Irish population on the North Side. According to Jane Trigere: "With the large influx of Jews from Eastern Europe in the 1890’s, Springfield Jews numbered a thousand—all Orthodox in their observance. 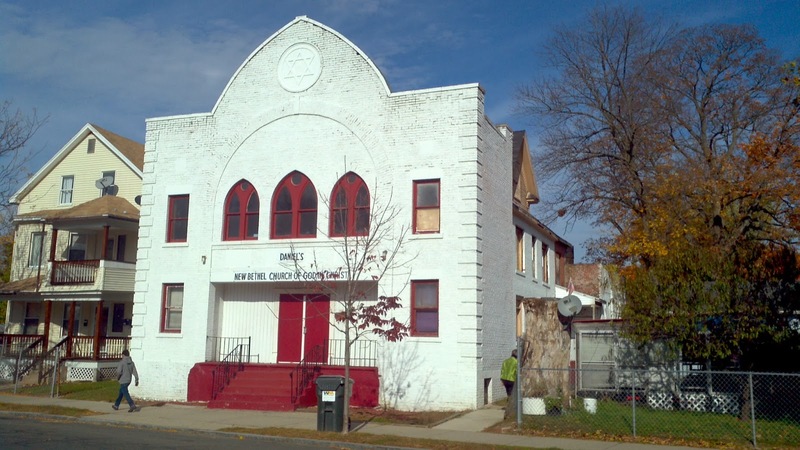 Services moved to bigger and bigger rentals until the group incorporated as Beth Israel in 1892 and built the first synagogue in Springfield on Gray’s Avenue. 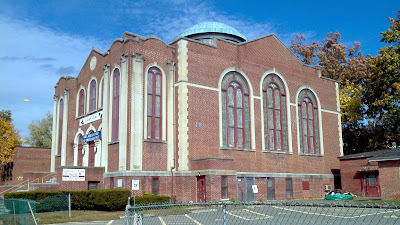 It was always known as the Gray’s Avenue Shul" and was demolished in the 1960s by the Springfield Redevelopment Authority. 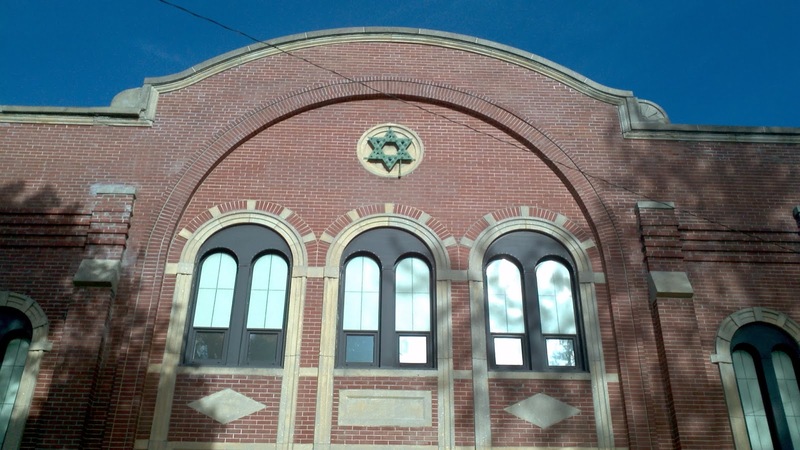 In 1923 the congregation built a bigger synagogue, commonly known as the "Big Shul," at 565 Chestnut Street, where thy remained until they left the North Side move in the early 1970’s and moved to Forest Park." Jews still live in Forest Park, a lovely neighborhood on the south of Springfield, adjacent to the magnificent park that gives the neighborhood its name, but many have moved just further south to the wealthier suburb of Londmeadow, with its impressive houses and excellent school system. The small town had been closed to Jews in the pre-war period, when many of its fine houses were built. Since the 1960s the demographics of the area have changed and this has affected the "Jewish geogrpahy" of this part of Western Massachusetts. The Springfield mid-century modern synagogues of the 1960s that were south of most Jewish settlement when they were built, are now north. 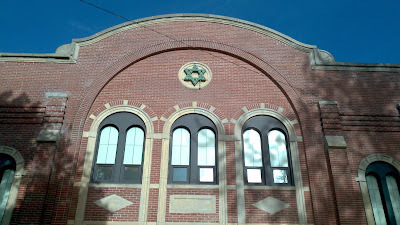 In 1902 thirteen members seceded from Beth Israel to form Congregation Sons of Israel. According to Trigere: "They, too, rented various modest locations until they built Springfield’s second synagogue at 1321 Dwight St. in 1924. They were Jews from Eastern Europe and Russia and therefore their synagogue became known as the Russische Shul. This group remained the longest in the North End and eventually disbanded. The members were absorbed by other congregations and their building was sold to a church." Today, the building is occupied by Daniel’s New Beth El Church in Christ. 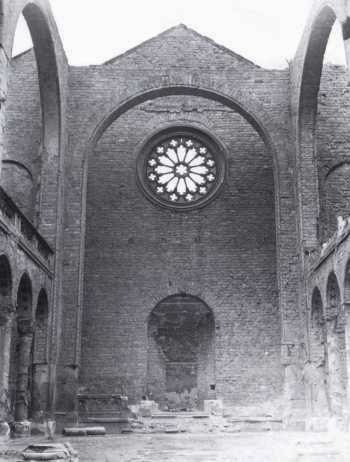 Both Sons of Israel and Beth Israel are fairly typical of their time, though the Gothic windows of Sons of Israel was probably a little out of date at the time of construction. Both congregations understandably lavished more attention to their building facades - which stand as separate attached blocks made of finer brick - than to the main buildings behind. Sons of Israel sits directly at the sidewalk, near the street line, but Beth Israel was built set back from the street, with a landscaped green space buffer between building and street. Clearly this congregation had more money and could afford a much bigger lot. This type of park like setting presages the common development of suburban synagogues set in greenery of the post-World War II years. Springfield, MA. 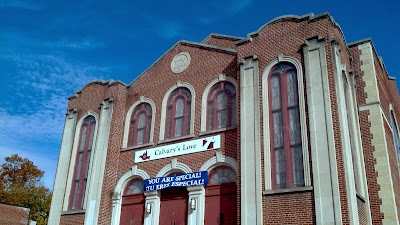 Former Kodimoh synagogue, built 1921-23, now Calvary's Love Church. 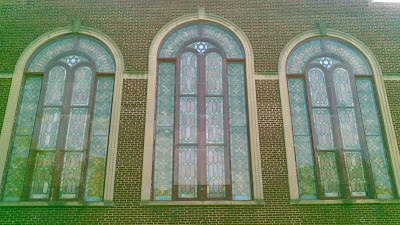 This was an Orthodox shul, so the ample stained glass windows are made of colorful geometric - not representational - compositions. Photo: Samuel Gruber 2013. The last of the old standing shuls is Kodimoh, the first Orthodox congregation to establish itself in Forest Park, already in 1916. 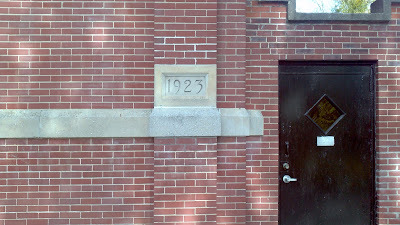 According to Trigere, after meeting in member's homes, "in 1921 under the new name Kodimoh, they laid the cornerstone for their first synagogue at 19 Oakland Street... dedicated in 1923, the same year that Beth Israel (above), still in the North End, built The Big Shul. 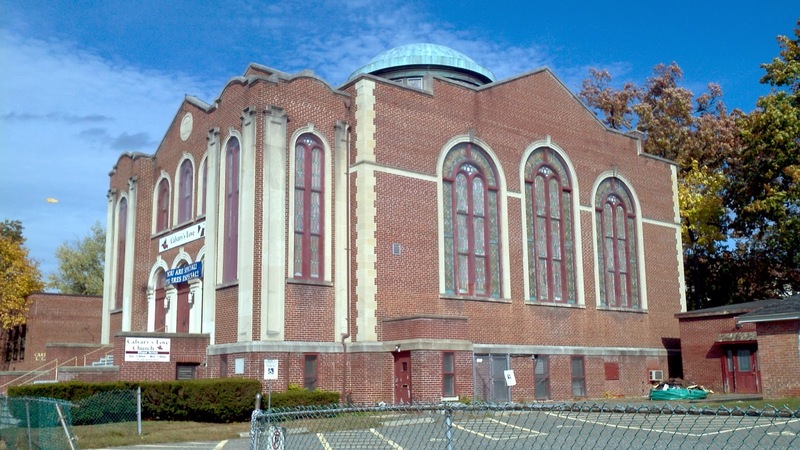 The congregation had 250 members but as it grew, forty years late, in 1963, they built themselves a new synagogue nearby at 124 Sumner Ave." The new building combined traditional Romanesque details with the strong massing and central dome of the new Byzantine style. 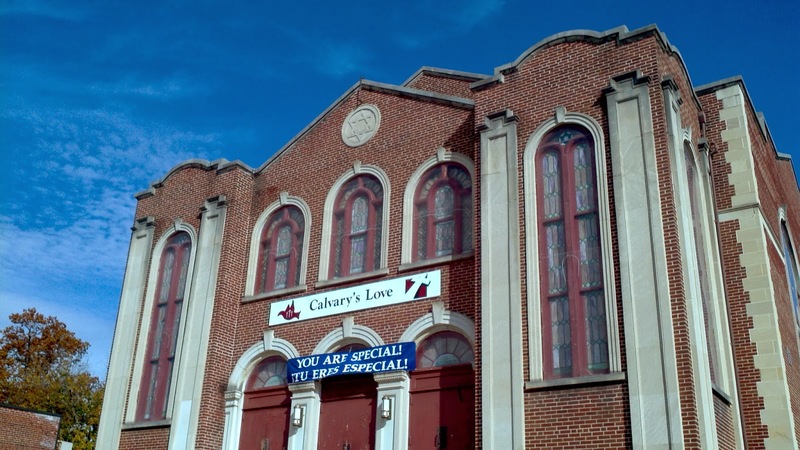 The building was subsequently sold to Congregation Kesher Israel, and more recently The Centro Cristiano Nacion de Jesus. When Kesher closed its doors, it almost ended the Orthodox community in Forest Park. 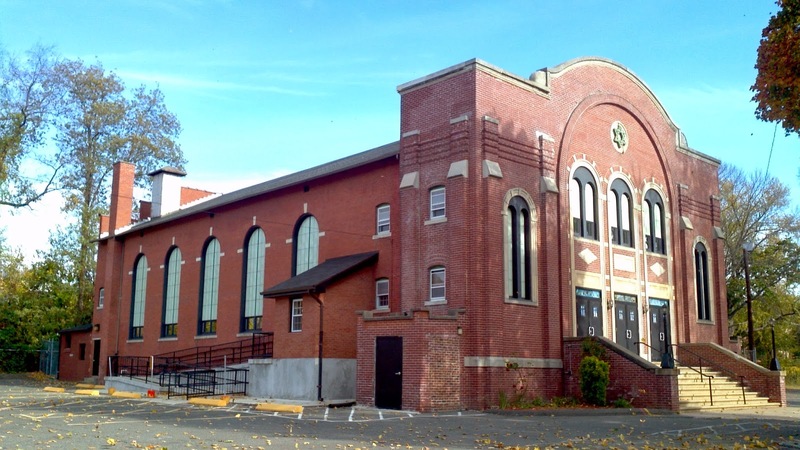 Today, a smaller minyan meets in part of the former (modern) Kodimoh Synagogue, built in 1963, and now owned by a church which allows the small Jewish congregation to use the premises, one of the few instances I know where an Orthodox congregation shares a facility with Christians.